How Should A New LIFEgroup Get Started? 1 -- Germination. A group of people decide they would like to partner together for spiritual growth. They determine together to launch a new LIFEgroup. 2 -- Formation. Having determined how they plan to be formative, caring, and missional together; they invite a few people to join them. At a given time, they launch their group. 3 -- Invitation. Once the group is moving, they are careful to not lose sight of the ongoing need to expand their relationships to include others in the group. Living missionally will mean people are regularly being invited to and added to the group. Read Hebrews 11:17 and as a group discuss the details of the story about Abraham’s sacrifice of Isaac (found in Genesis 22). If you could restore something in your house to it's "new" state, what would you choose? Why? If you could have a new start for today, what would you do differently? What is an activity you once loved, but no longer do? Why did you stop? What are your first thoughts when you hear the word "covenant?" How would you describe the "old covenant" God once made with Israel? How many of the laws and promises of the old covenant can you name? Perhaps the most well known portion of the old covenant is the 10 commandments. What is the value of the 10 commandments? Can someone earn eternal life by following the 10 commandments? Why or why not? Which part of these verses do you most like? What questions do you have about these verses? In your own words, describe the "new covenant" God is making? What is the main point of verse 12? Why is this good news? How have you experienced God's mercy in your life? LIFEgroup 1.0 Begins This Sunday! LIFEgroup 1.0 is a four week experience designed to introduce people to the Calvary's “Greenhouse Approach” to church small groups. LIFEgroup 1.0 is designed for people who lead existing LIFEgroups, participate in a LIFEgroup, are starting a new LIFEgroup, want to find a LIFEgroup, are interested in alternative methods for growing community, or anyone who just wants to hear more about LIFEgroups. click here to read this week's LIFEgroup Weekly. It’s the classroom for learning how to get along in God’s family. It’s a lab for practicing unselfish, sympathetic love. You learn to care about others and share the experiences of others: “If one part of the body suffers, all the other parts suffer with it. Or if one part of our body is honored, all the other parts share its honor” (1 Cor. 12:26 NCV). Only in regular contact with ordinary, imperfect believers can we learn real fellowship and experience the connection God intends for us to have (Eph. 4:16, Rom. 12:4–5, Col. 2:19, 1 Cor. 12:25). REAL fellowship is being as committed to each other as we are to Jesus Christ: “Jesus Christ laid down his life for us. And we ought to lay down our lives for our brothers” (1 John 3:16). This is the kind of sacrificial love God expects you to show other believers—loving them in the same way Jesus loves you. 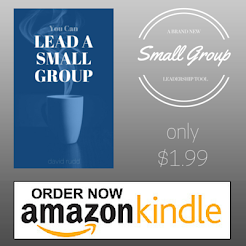 A small group helps me develop spiritual muscle. When you pray for someone else, what kinds of things do you pray? How do you decide for whom you are going to pray? Read Paul's prayer for the Colossians in Colossians 1:9-14. Which part of this prayer do you most appreciate? Are any parts of this prayer convicting for you? Why? Paul says he has not stopped praying for the people in Colosse. What do you think he means by that? How would your relationship with someone change if you prayed for them every day? For what kinds of people should you be praying every day? increased knowledge of God's willspiritual wisdom and understandinga life that honors and pleases Godthe fruit of good worksa growing knowledge of Godstrength, endurance, and patiencejoy Which of these prayer items do you most need?